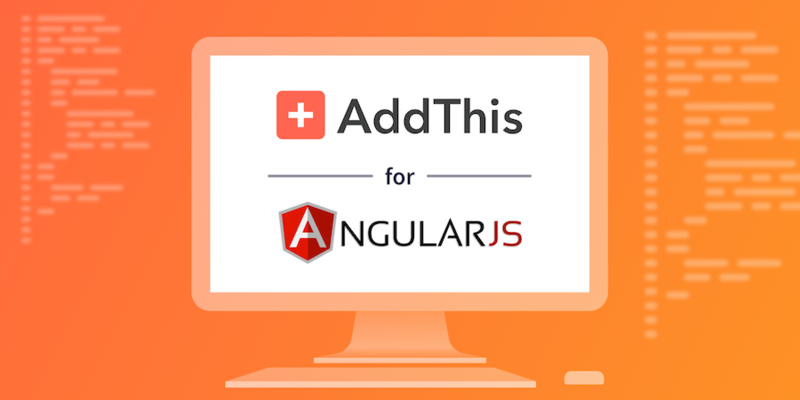 We’re excited to announce that AddThis has built its own module for AngularJS! Read on to learn how you can install inline and floating AddThis share buttons, follow buttons, related post tools, and our new Website Tip Jar on your AngularJS apps/sites. This module includes a provider for pre-bootstrapping configuration, a service for changing configuration at any time after your Angular app bootstraps, and a directive for inline sharing, follow, related post, and Tip Jar tools. This module is available as a ZIP file or a Git repository, whichever you prefer. Visit addthis.com to sign in or sign up before proceeding to the next steps. You can install AddThis for AngularJS from addthis.com, NPM, Bower, or Yarn, among other places. Follow the instructions below for your preferred method. If pulling from AddThis.com, include the following script in your index.html _below_ where the AngularJS framework is included, but _above_ the script that defines your AngularJS app. Then add a <script> to your index.html, _below_ where the AngularJS framework is included, but _above_ where you define your AngularJS App. Then add a <script> to your index.html, _below_ where the Angular framework is included, but _above_ where you define your AngularJS App. When you create an account on addthis.com, we assign you a profile ID to provide analytics, configure settings, etc. To find your profile ID, log in to your addthis.com account, select the three dots on the top navigation, select “More,” and identify your profile ID in the “General” section. Select an option below to set up your profile ID for the module. If you’re adding inline buttons or Tip Jar buttons, replace addthis_inline_share_toolbox with the class for the desired tool. To get the class name, visit your addthis.com dashboard, add a tool, navigate to the Get The Code page, and identify the class name in Step 3 on the Get The Code page. For more details on installing AddThis to your AngularJS apps, check out our full documentation here. Have any questions? Reach out to us at help@addthis.com or @addthissupport on Twitter.